I am sure this is a dumb question but as a noob, I hope you will forgive me. I want to know how to create a face in an object where I want one but doesn't have one at present. 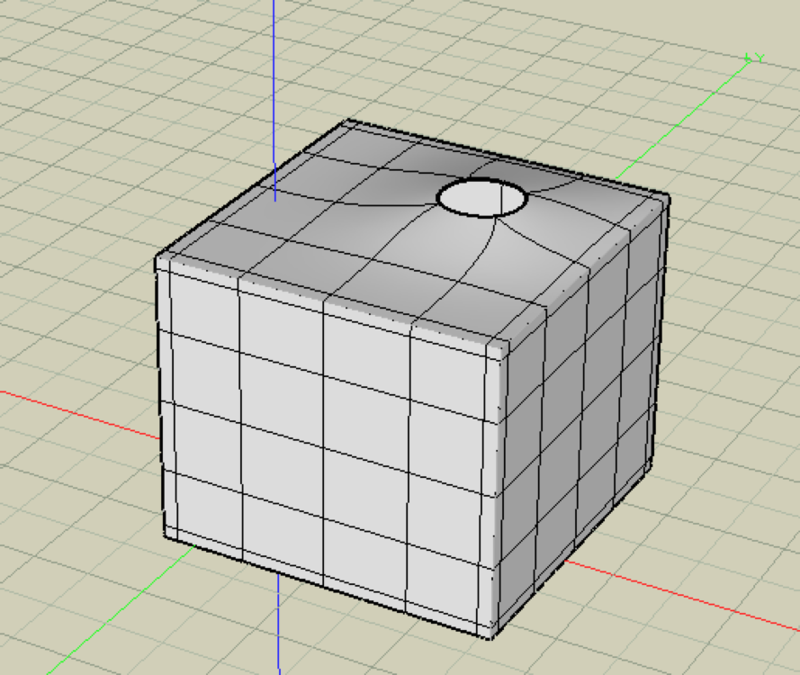 As a super simple example, if I create a cube or a cylinder say, then delete one face, how do I recreate that face (with a tool, not by simply undoing the delete action)? The simplest and fastest way would be to grab the offset segment tool and select an existing segment and move it along a face. It really depends on the type of object which has a missing face/s and whether the opening is planer or not. If object doctor is unable to fix the missing face then you'll have to replace it yourself and stitch it to the rest of the object. The first thing I would try is to use "select sequence" in tool options, move the cursor over the edge of the missing face and if it selects the correct edges around the hole, copy and paste. If the edge you copied pastes in with a surface, then the surface is planer and can be stitched to the rest there and then. If the edge pastes in without a surface, then it's non-planer in which case use the triangulate tool on it and then stitch. If you are unable to use the select sequence (the sequence goes beyond the opening for example) just trace the opening in a 3d view with the vector line (as a 2d surface) snapping to the points. If the closed vector line has no surface then do as above and triangulate it and stitch. You can draw in triangles as well with the vector tool and stitch them together. Many thanks for these replies. Joe, I confess I don't understand how offset segment might work to replace a face, as it will not traverse an open space. I must be missing something there I guess. 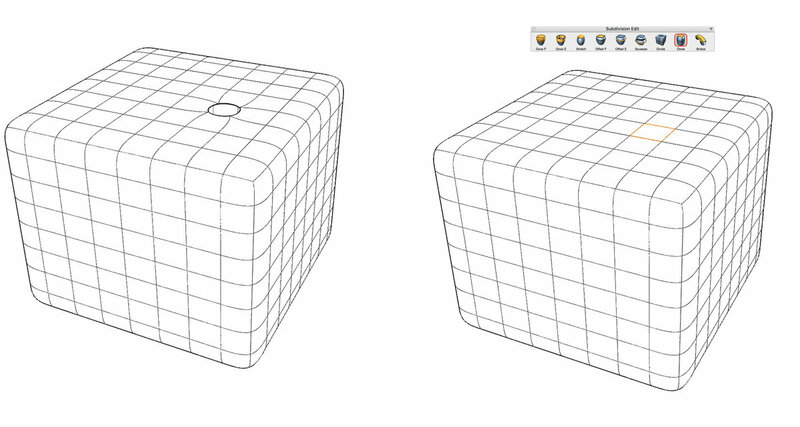 Hugo and Des, Object doctor does indeed work, certainly for planar faces/subdivisions. 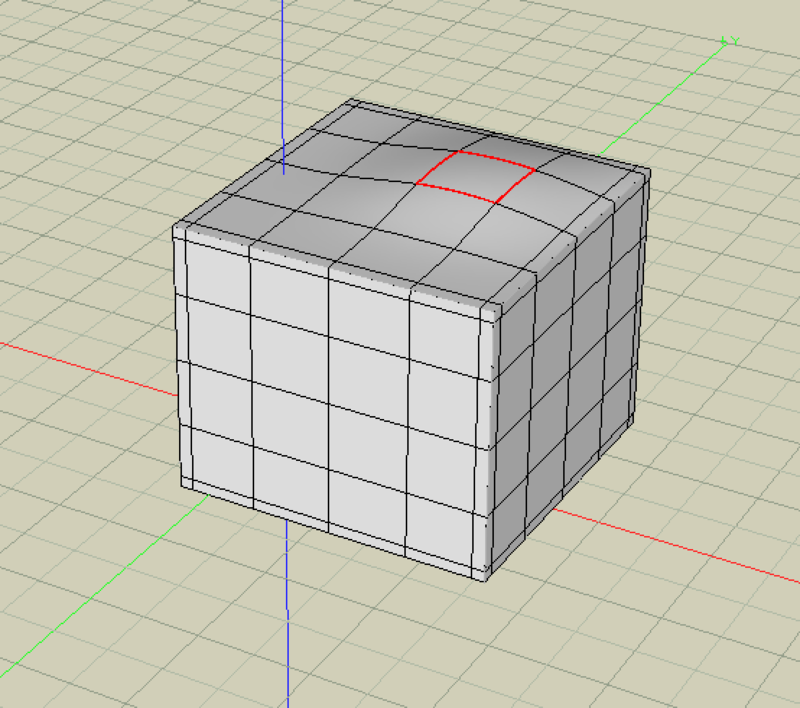 I can for example easily replace the face on a cube doing that. However, on a cube which I subdivided and on which I then pulled a bulge in one face, then deleted one of the subdivisions, get stuck. I thought that perhaps the Cap tool would work but it seems to cause Formz to freeze up. The third image is what the object looks like after I have used object doctor on it. Is it safe to say that once you start to use the SubD tools on an object, you have to continue to use them on that object? Do any of the other modeling tools still 'work' on a SubD object? When using the Sub-D tools, there are always two... the cage, or the facetted object that establishes the structure of the sub-divided version, and the sub-divided version itself over top of the cage. So, your model is always facetted underneath, but looks subdivided, and as a result "smoothed". You can toggle this state by using the Subdivision Swap tool. Make your facetted edits, and then switch back. In addition, you can use tools that work on facetted objects to change the shape of the sub-divided model even when it is in the sub-divided state. The caveat is that it should be expected to work on the facetted model as if the sub-d was not applied. So if you know well your form.Z, you will be able to predict what will work and what won't. It is best to keep four-sided faces for sub-division surfaces, otherwise the results can become unexpected. I generally stuck with the sub-d tool pallets in sub-d "mode". You can however use the "swap" command to turn off the sub-d, and then work with the standard tools. I use this approach quite often. 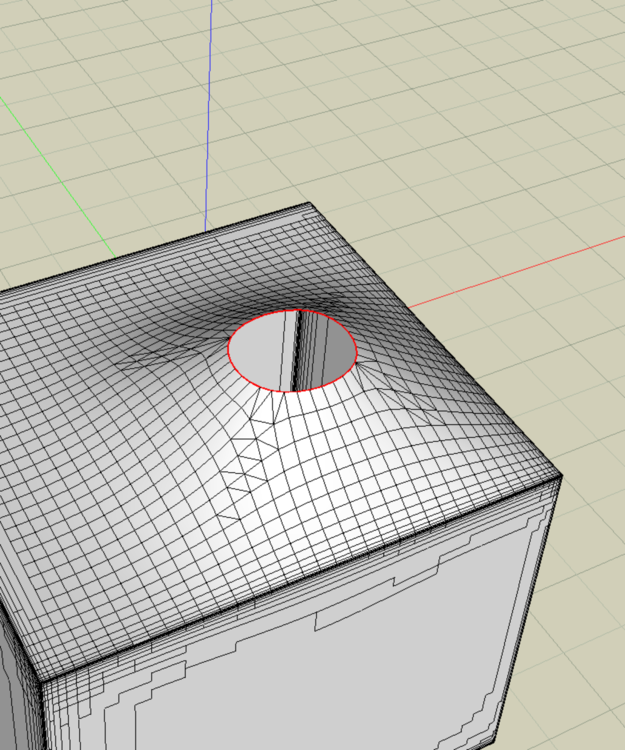 One thing I do love about 3ds Max is the way that you can stack modifiers on top of basic geometry. I fmz you have to swap the sub d to get back to the original faceted geometry. In Max you would just turn off the modifier in the stack. You can also adjust each modifier in the stack in real time and go back and forth to see the results. I would love to see something like that in FMZ. You can assign a single key shortcut to Subdivision Swap All. This toggles the state of all sub-d objects back and forth between cage and sub-d. A quick tap on the keyboard, and you are now swapping at ludicrous speed (unless you have a heavy file). Look in the shortcuts manager for the other useful key shorts you could add to the other ways of swapping this state available in there. I like this one because you don't need to have the object selected as you tap the key.